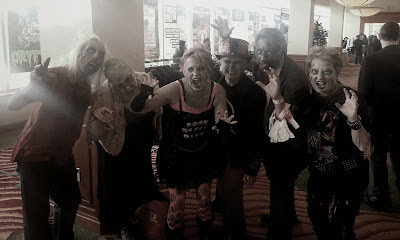 After picking up my press badge, I was quickly greeted by some very interesting individuals and it quickly became apparent that this was going to be no ordinary day of convention coverage. 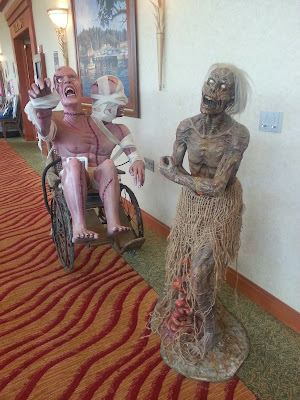 Everywhere I looked, there were creepy and supernatural things to be found like zombies, skeletons, ghosts, and ghouls...and that was just the people attending! 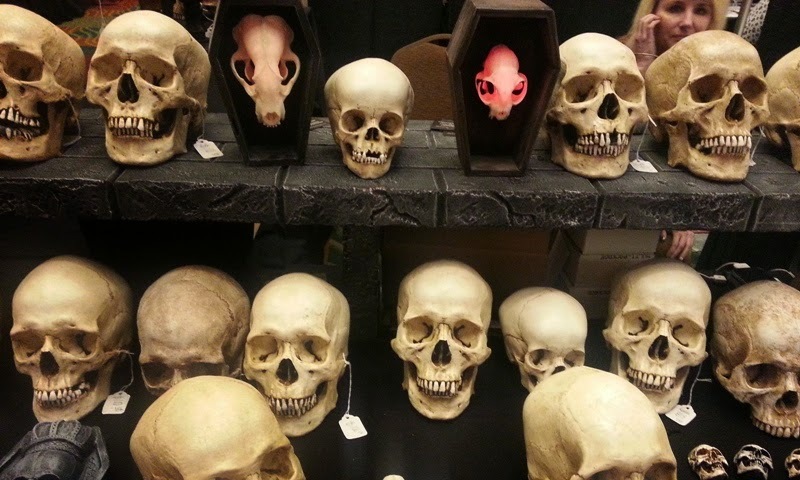 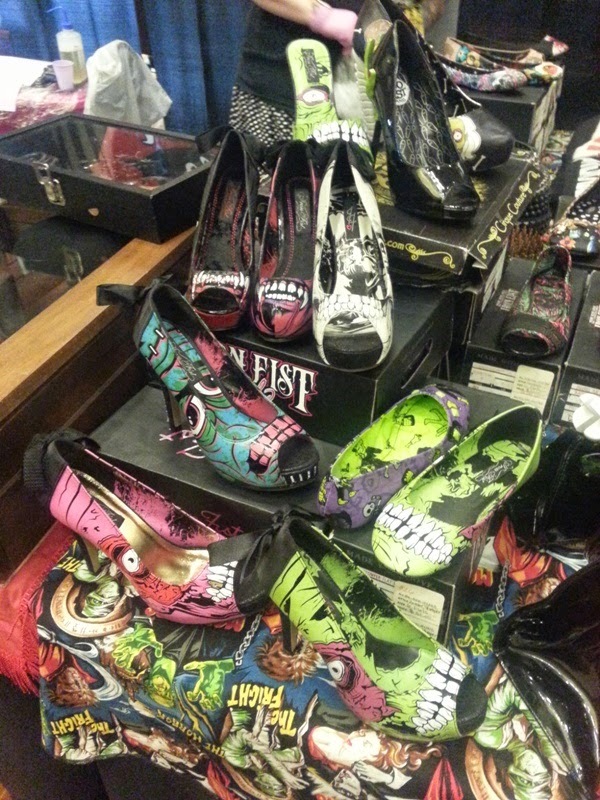 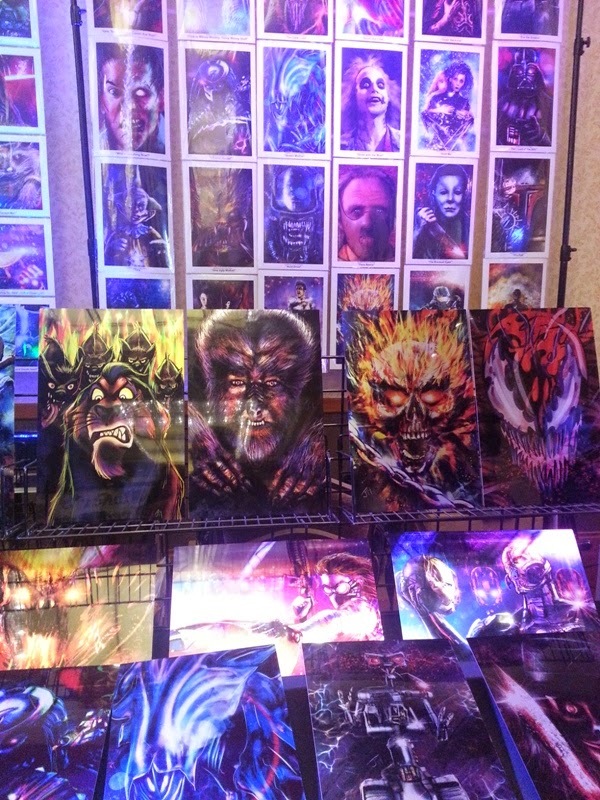 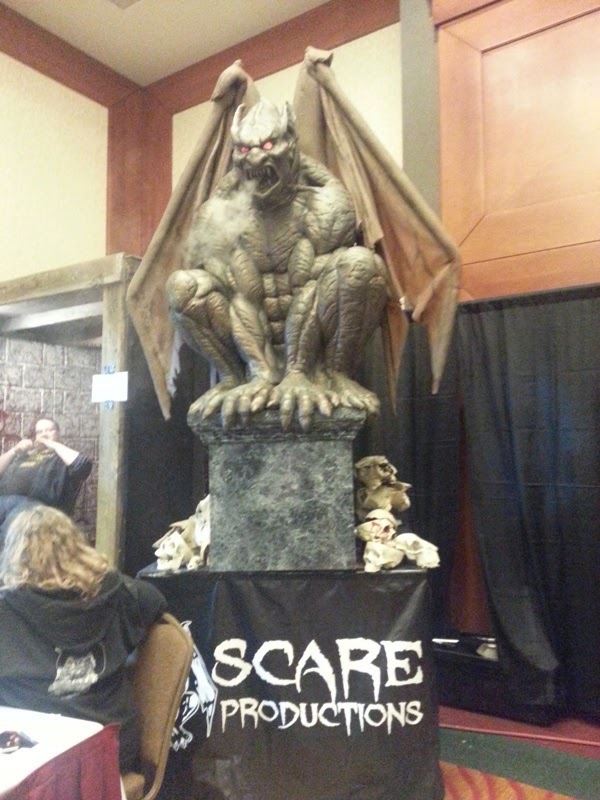 There was no shortage of things to do and see including film festival screenings, panel discussions, a VHS trading room, charity auction, celebrity photos and autographs, and multiple vendor areas filled with just about anything you could ever want from the darker side of entertainment. 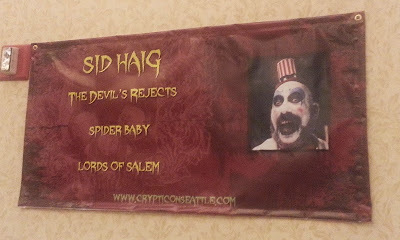 One of the highlights, of course, is seeing, hearing from, and interacting with the various celebrity guests which this year included Sid Haig (The Devil's Rejects), Michael Berryman (The Hills Have Eyes), Denise Crosby (The Walking Dead), The Soska Sisters (American Mary), Caroline Williams (Halloween II), and Jessica Cameron (Truth or Dare). Due to time constraints, I was not able to schedule any interviews, but I was able to catch up with a few of the guests in the vendor room. As you can see, I was able to capture the infamous Soska Sisters getting some quality time with the one and only Sid Haig and, a little while later, had a brief chat with rising star Jessica Cameron. 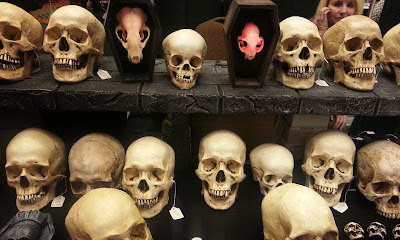 A little while later, I caught up wit the Siska Sisters again at the Pierce County Asylum's display booth which featured an electrifying experience for those who chose to participate. 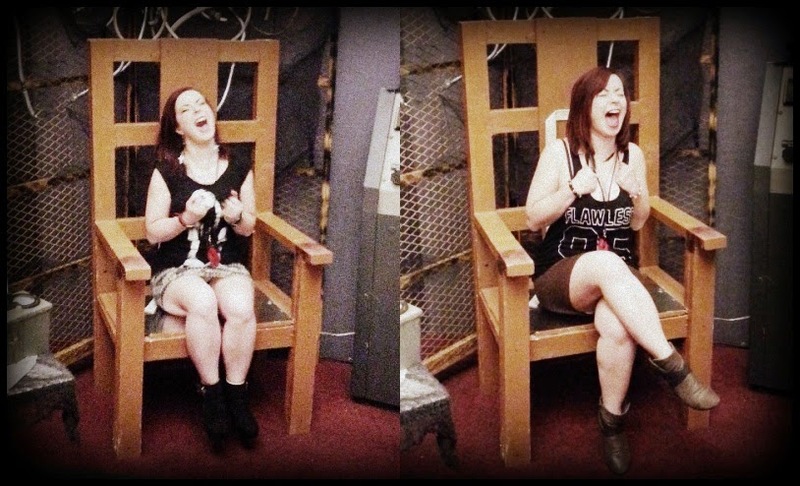 At first, the sisters, Jen and Sylvia, each took their turn although they were also convinced that sitting on the electric chair would be even more fun if they did it together. 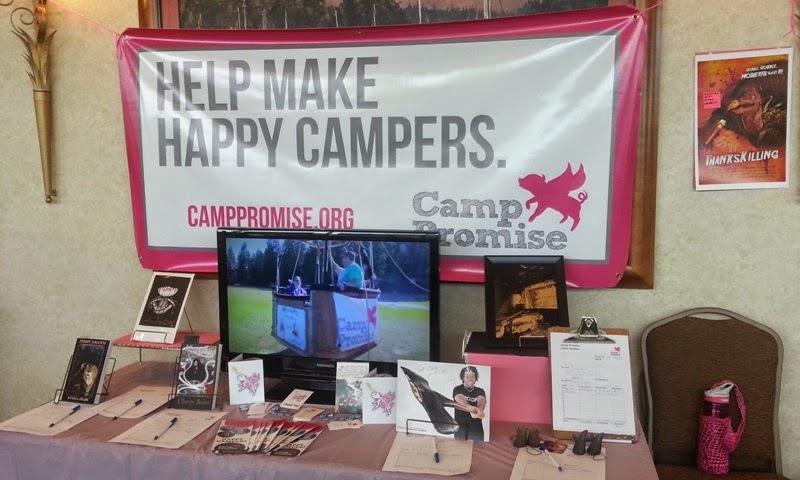 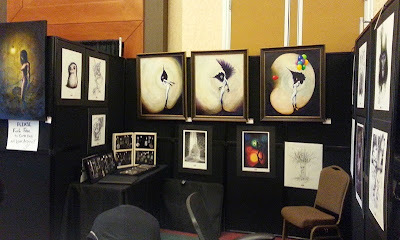 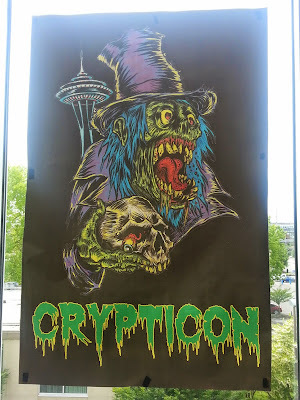 Thank you to the fine folks at Crypticon Seattle for putting on a fantastic event, I look forward to attending again next year and providing even more coverage than I was able to provide this time around.